Controversial construction projects have become one of the defining marks of Erdogan’s reign, and the Third Bosphorus Bridge is perhaps the most conspicuous of them all although the recent presidential palace has certainly garnered its fair share of attention. Critics say the 3rd bridge will irreparably damage the environment and surrounding natural area, not to mention it will cast an iron silhouette over the once pristine view of the waters where the Bosphorus and Black Sea meet. Those wild boars running around Istanbul? You can also chalk that up to the 3rd bridge. My first view of the infamous bridge was when my friend Heidi was visiting from the States. 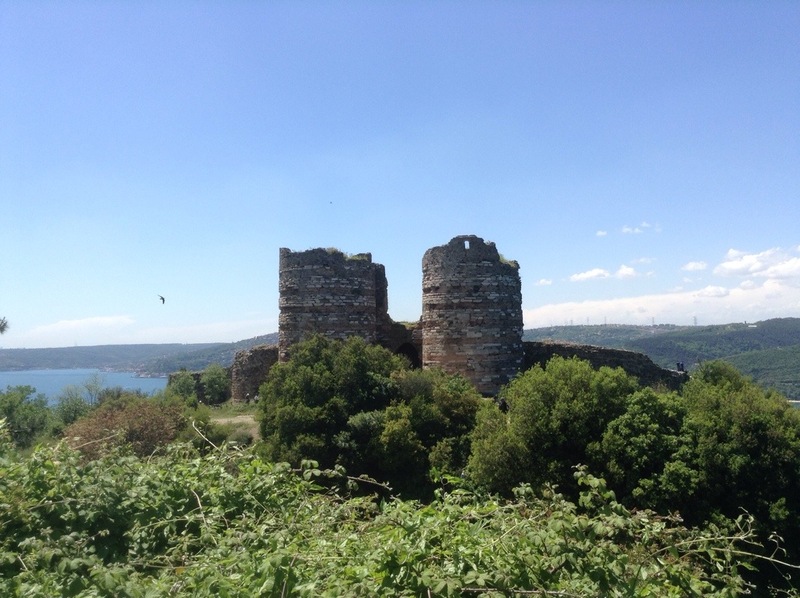 Instead of doing the typical tourist activities, we escaped the city and headed out to Anadolu Kavağı to see Yoros Castle. It was a gorgeous May day (the best time of year to visit Istanbul), the sun high and weather breezy. 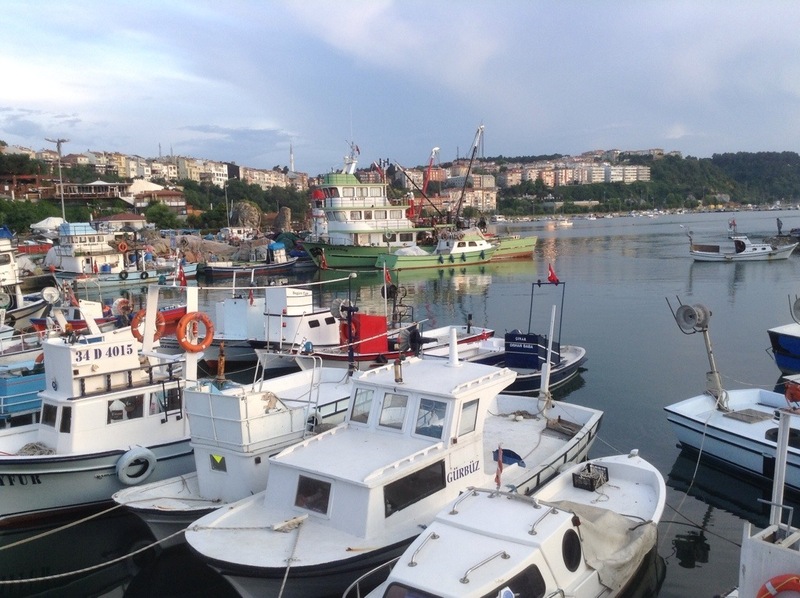 We took a ferry from Sariyer which turned out to be only a short 5 minute jaunt across the Bosphorus and found ourselves in the sleepy fishing village of Anadolu Kavağı. Yoros Castle is located uphill from the main square and instead of hiking our way up, we flagged a taxi and paid a premium price for the 5 minute ride. I recommend doing the same. Once we arrived at Yoros, I was surprised to find that there was no official museum kiosk; instead, people were haphazardly milling around. One area – the side facing the water – had been gated off, and a man who was neither in uniform nor wearing an official tour guide badge appeared to be the guardian of this gate. Every 15 minutes or so he would let a handful of people pass to the other side, close the gate behind them, and give them just enough time to take in the view and snap a few photos before signaling to them that it was time to wrap up. From the side of Yoros which faces the water, one has a clear view of the construction of the 3rd bridge. The picture below was taken in May 2014 and one can see that already a good deal of green space has been cleared and the supports erected. .
On the way down, we passed a multitude of cafes with great views but shady menus (i.e. the kind with no prices). We snapped some pictures but passed on what I assume were extremely overpriced mezzes and drinks. 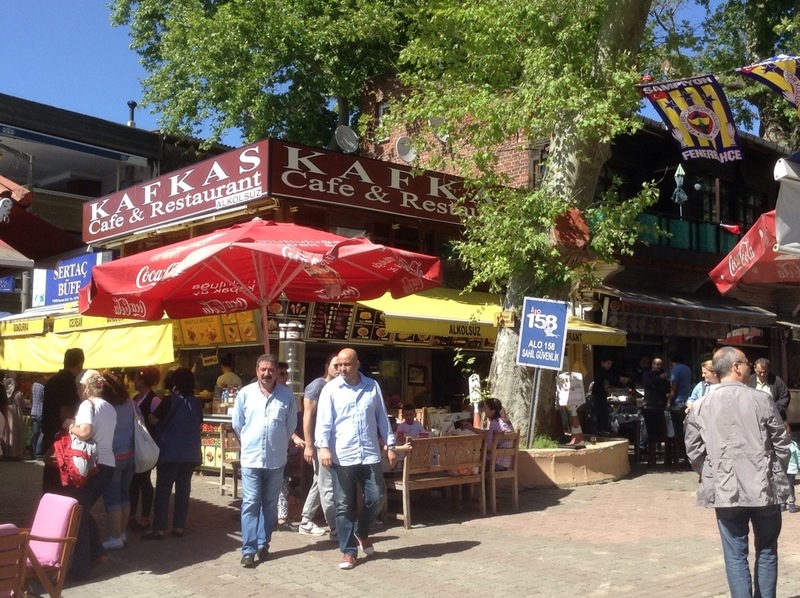 Back in the center of Anadolu Kavağı, we had fried mussels and fish sandwiches at Kafkas Cafe & Restaurant. The fried mussels were delicious, light and crispy, and hot from the grill. Whenever I think about the best fried mussels in Istanbul, Kafkas is the first place that comes to mind. Heidi who hails from the land of seafood has vowed to bring fried mussels to the East Coast. I think it’s guaranteed to be a hit. From Beşiktaş, take a minibüs/dolmuş from Barbaros Blvd to the Sariyer iskele and then a ferry from Sariyer to Anadolu Kavağı. 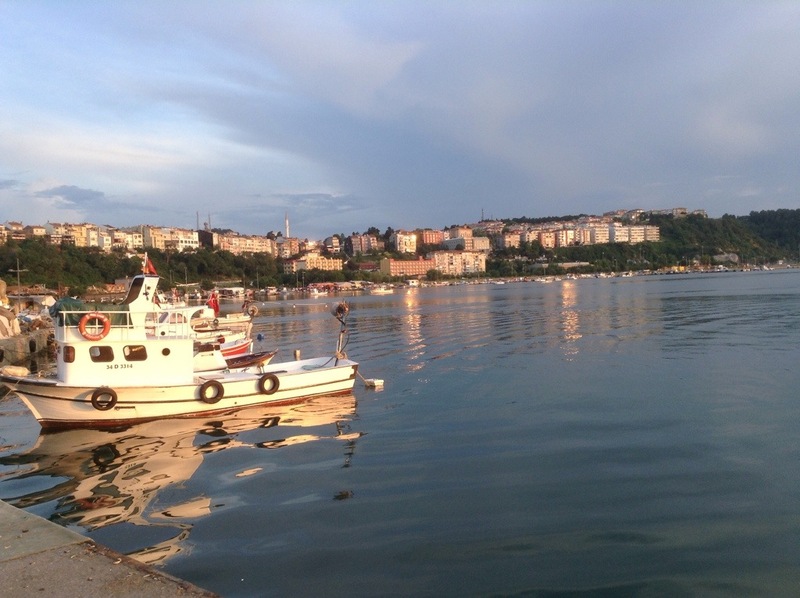 The ferry doesn’t run frequently so do check the schedule ahead of time otherwise you may find yourself in Sariyer with hours to spare. Not only does Dört Kadıköy serve up good coffee and hospitality, they also get a thumbs up for their recommendation to visit Sımsıcak Ev Yemekleri, a restaurant just a few storefronts down the street. 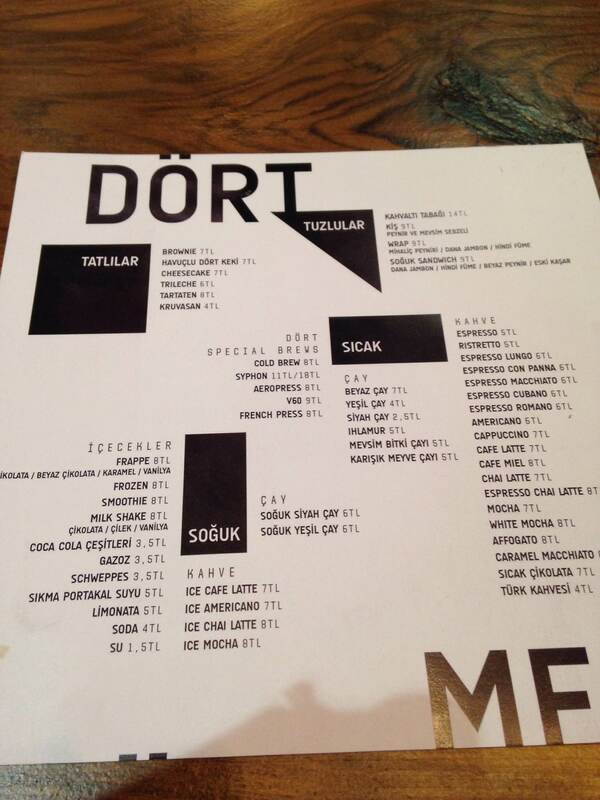 At first my friends and I were just going to stop in for a tea since we had had our fill of coffee and desserts at Dört, but we certainly couldn’t say no to all the mouth-watering dishes on display. We ordered a huge spread and sat down to eat while at the same time informally interviewing the owner. Sımsıcak Ev Yemekleri (translation: really hot homemade food) features a set menu of dishes which customers pick from the display up front, and they also rotate in different dishes depending on what’s fresh and in season at the local market. The owner’s family is originally from Tarsus, and thus, he also tries to incorporate goods from the Tarsus area when possible such as olive oil and pomegranate sauce, dried veggies, and spices. 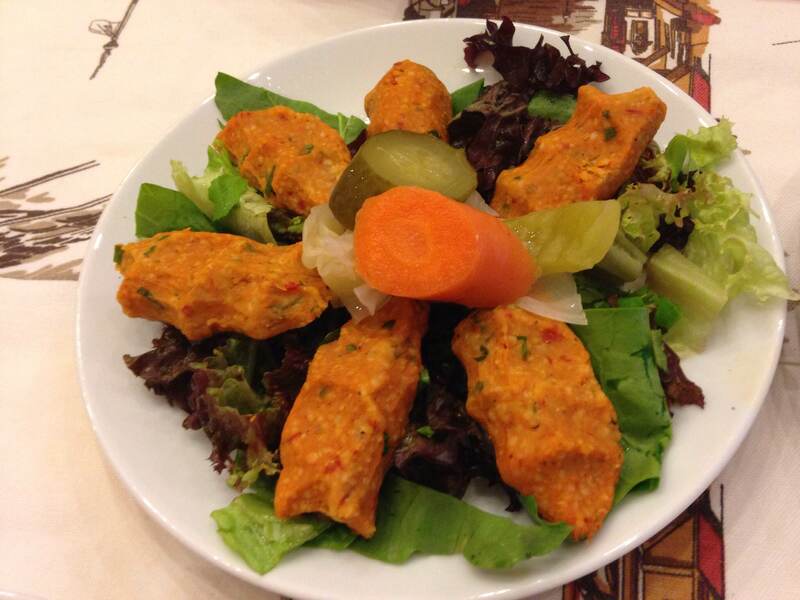 Like Helvetia in Asmalımescit, Sımsıcak has several dishes for the vegetarian crowd, and for everyone worried about whether the veggies we eat in Istanbul restaurants are cleaned well, don’t fret at Sımsıcak. They wash all their vegetables three times, yes that’s right, three times. First in water, then in vinegar, and again, rinsed in water. And for those lamenting the amount of plastic bottles used in restaurants, Sımsıcak has one large water cooler where you can fill up your water glass, enormously cutting down on the amount of wasted plastic. In addition to an amazing karnıyarık – one of my all-time favorite Turkish dishes – the restaurant’s two standouts were the eggplant puree and çıntar mantar. Eggplant puree is a standard Turkish dish made by roasting eggplant over a gas-burning stove and then pureeing it. Delicious, right? Well, as much as I like eggplant, I often find the finished puree to be too strong on the palette, either because of the burnt flavor or the bitterness of the fruit. 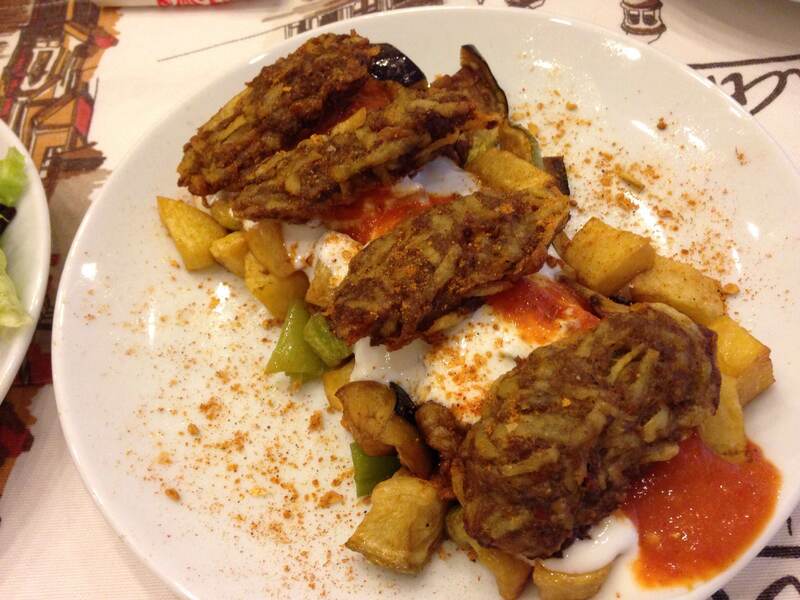 Sımsıcak’s eggplant puree, however, was so smooth that for a split second, I doubted that it was even eggplant. 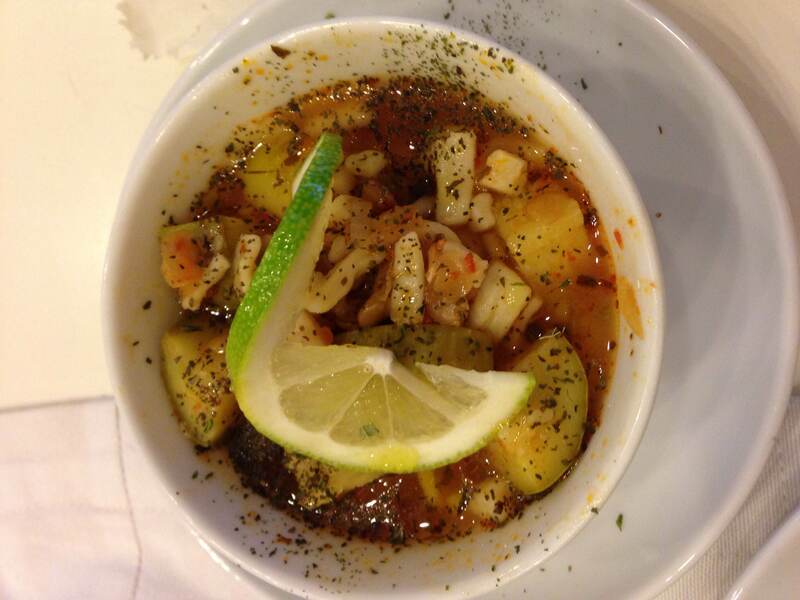 When we asked the owner about his magical puree, he told us about a secret ingredient he incorporates into the dish. Where he got the idea for it is baffling since it’s not a common ingredient used in traditional Turkish cooking, but it’s genius all the same. He did, however, ask us to keep the secret ingredient a secret, so I’m keeping my word. The other highlight was the çıntar mantar, a mushroom which grows in Tarsus on the cedar tree but can also be found on kızılçam (red pines) in the Kanlıca area of Istanbul. I had never heard of çıntar mantar before, and in fact, I have been struggling to find the correct English translation but another blogger has referred to it as a Saffron Milk Cap. To be honest, I thought it was ciğer (liver) at first due to its meaty appearance, and when I tasted it, it certainly had a meatier texture (& better taste!) than the standard table mushroom. For this very reason, the çıntar mantar is an ideal meat substitute and may feature in some of Sımsıcak’s dishes traditionally made with meat. Mushroom-stuffed mantı, anyone? Just when you are starting to think that you might be enjoying a homemade meal made by your favorite Turkish abla, teyze, or kaynana, you are kindly reminded by the mustachioed Charlie Chaplin on the wall that you are in Kadıköy after all, and that you’ll step out into the streets to be swept up in the energy of Istanbul. But don’t forget to pay the bill first, and trust me, Sımsıcak Ev Yemekleri is quite the deal! 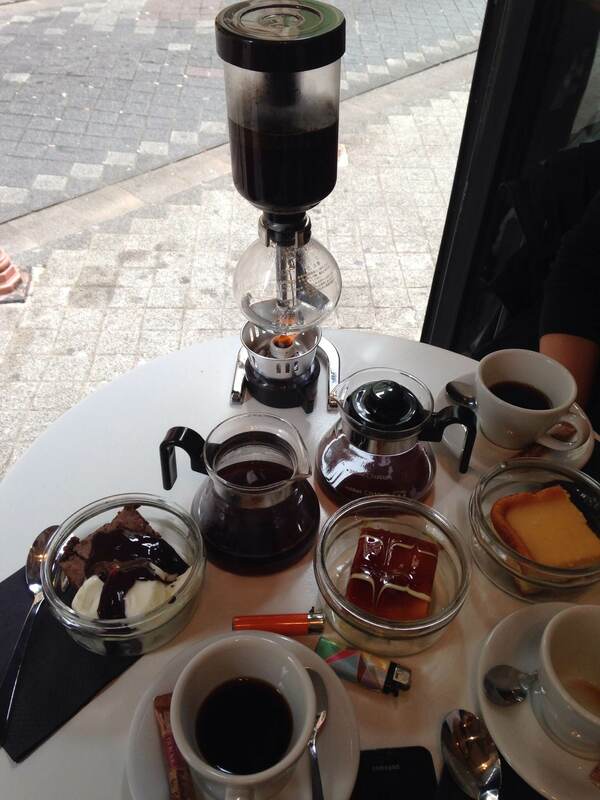 “A post-modern neighborhood cafe.” That’s how Neylan Öğütveren, one of the owners of Kadıköy’s newest cafe – Dört Kadıköy – describes it. Her goal is to create community and do something good for the neighborhood in a time when people aren’t sharing enough and need to know each other more than ever. From my perspective, her and her three business partners (and very close friends) Fahri, Emrah, and Ürün are off to a running start. I connected with Neylan over Twitter @dortkadikoy and set up an interview with her shortly after the opening of Dört Kadıköy earlier this month. Due to Neylan’s welcoming spirit and outgoing personality, the interview turned out to be an informal chat between friends. I got to hear all about her inspiration and vision for Dört Kadıköy while enjoying a refreshing cold brew and warm walnut brownie topped with ice cream, followed by an artisan latte. Dört Kadıköy isn’t your normal Istanbul coffee shop; in fact, it’s much more than a place that just serves coffee although they do that well, too. The cafe promotes a healthy lifestyle and welcomes four pawed friends. Don’t forget to say hi to Zeus, Neylan’s and her partner Fahri’s, Doberman in the back, and if you bike to the cafe, you get 20% of your purchase. 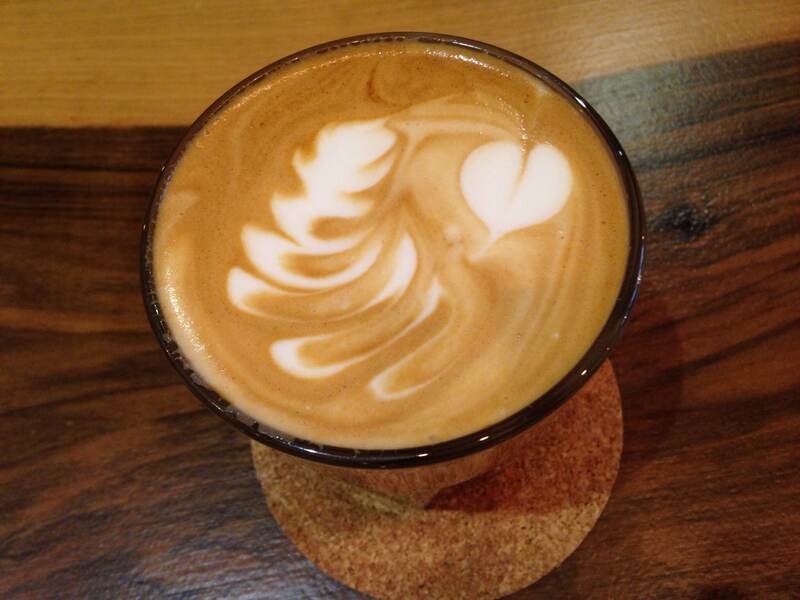 The coffee and tea are organic and Neylan expects to expand their menu to include organic and vegan selections. Now, that’s something I can get behind. The cafe is already holding Friday night Spanish language tables and plans to expand its community events to include long-table discussions and workshops including topics such as: COFFEE. 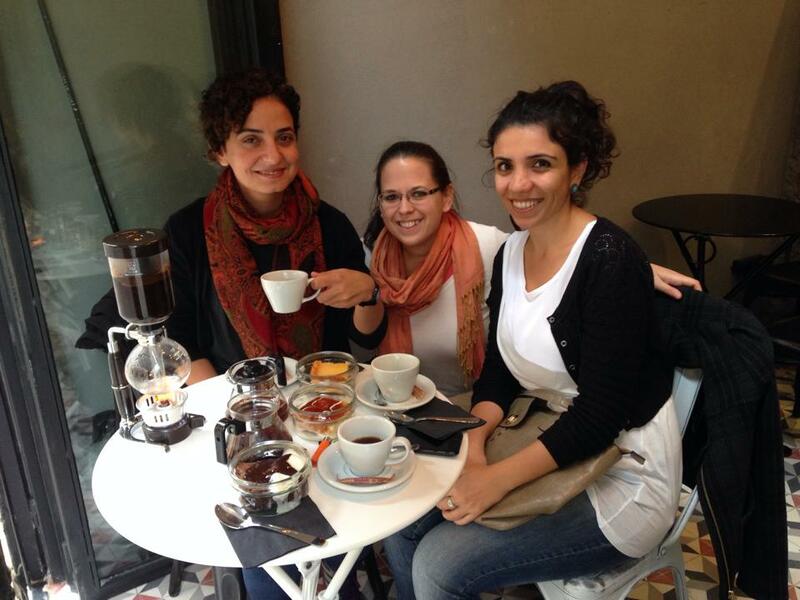 The owners completed an extensive coffee training course here in Istanbul and they want to pass the information they learned onto the greater community – how to select beans, which brewing system to use, etc. Thanks to Dört Kadıköy’s partnership with Petra Roasting Co., a roasting company that made a big splash on the Istanbul coffee scene earlier this year, Dört Kadıköy is serving top of the line beans from one of Istanbul’s leading roasters. Neylan’s background in Performance Art Management and Digital Performance also comes through loud and clear, and no detail has gone unattended to. The cafe’s interior design channels the Brutalist style, and in fact, the cafe was previously a repair shop so this too was an inspiration for the cafe’s design. 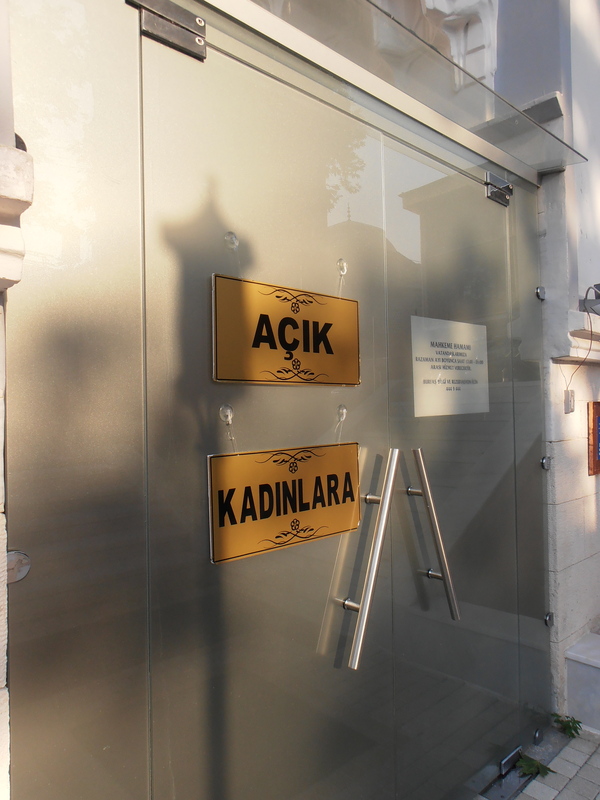 The walls will soon be home to installations of local artists (first up is Çandaş Şişman) as well as permanent artwork. The logo’s design by Emre Parlak was inspired by the Bauhaus Movement and it’s an aesthetically pleasing logo that jives well with the cafe’s trendy brand. Oh, did I mention the baked goods are homemade by women in Moda? That’s community for you. My lovely ladies enjoying the goods. The more the merrier when exploring new places! One of the reasons I love Istanbul is because there is always something new to explore – a new neighborhood or a new restaurant – the possibilities are endless. Bursa, on the other hand, has always been a place of familiarity for me. I’ve memorized the bus and dolmuş routes, I know the downtown area like the back of my hand, and I don’t get the same sense of overwhelmingness that tends to befall me in Istanbul from time to time. In fact, I thought I had explored every nook and cranny of Bursa until I visited Yeniceabat village earlier this summer. The village is discreetly tucked away behind Bursa’s otogar (bus depot) and despite all the times I took buses to Istanbul and Ordu, I never knew the village existed, and even more surprisingly, neither did Gurkan. 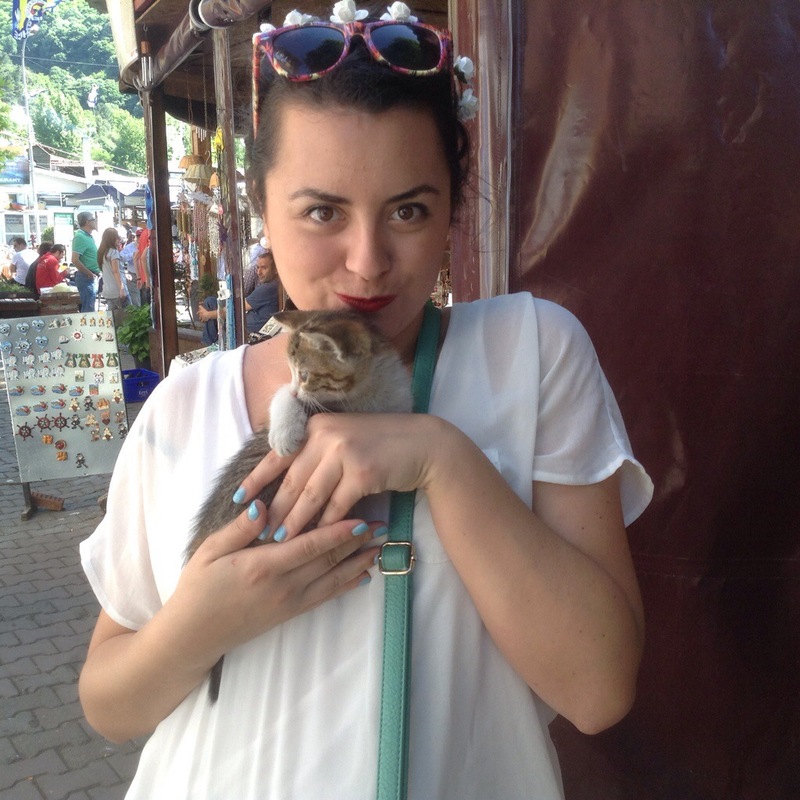 We were in Bursa a few weekends ago for a mini-holiday, and we had plans to visit our good friend Cat who is leading this year’s NSLI-Youth program – a program which I led in 2012 and I highly recommend to any American high school students aspiring to learn Turkish or other critical need languages. 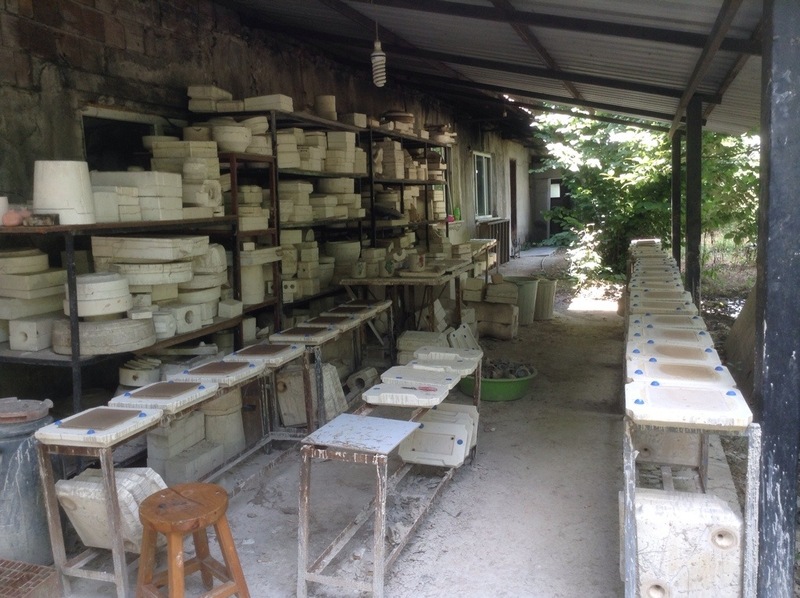 Cat was taking her students on a field trip to nearby Iznik (Nicaea), and on the way out of Bursa, they had planned to stop at an Iznik tile workshop in Yeniceabat. After perusing a map, Gurkan and I were surprised to find ourselves only a five minute drive from Yeniceabat – we had been having coffee at Anatolium waiting for Cat’s call. We headed out to the village and despite it’s deserted appearance, we found it was home to not just one, but three different tile workshops. One of the NSLI-Youth drivers met us on the main village road, jumped in the car and directed us to the correct workshop (take a right at the kiraathane located on the main village road). When we arrived, the workshop was bustling with activity. 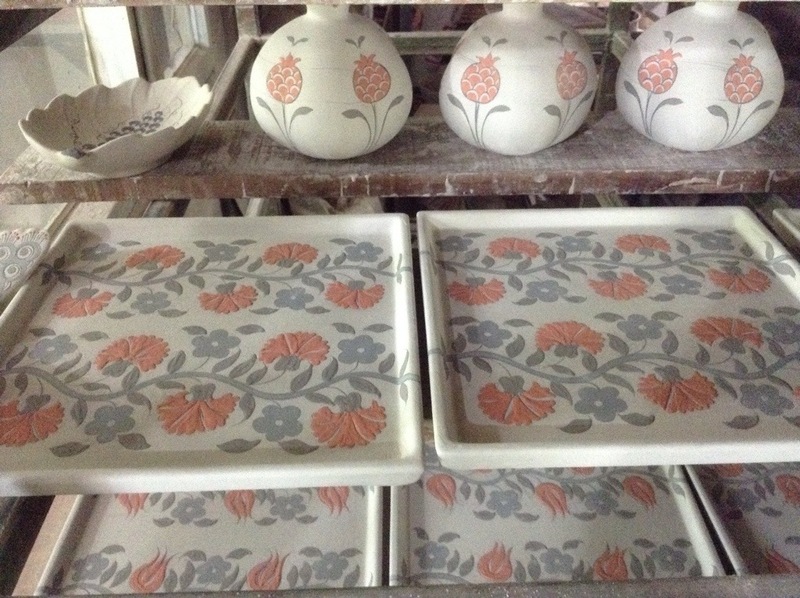 One group of students was milling around outside chatting, another was hand painting tiles in the workshop, and still another was preparing for a tour of the kiln room. 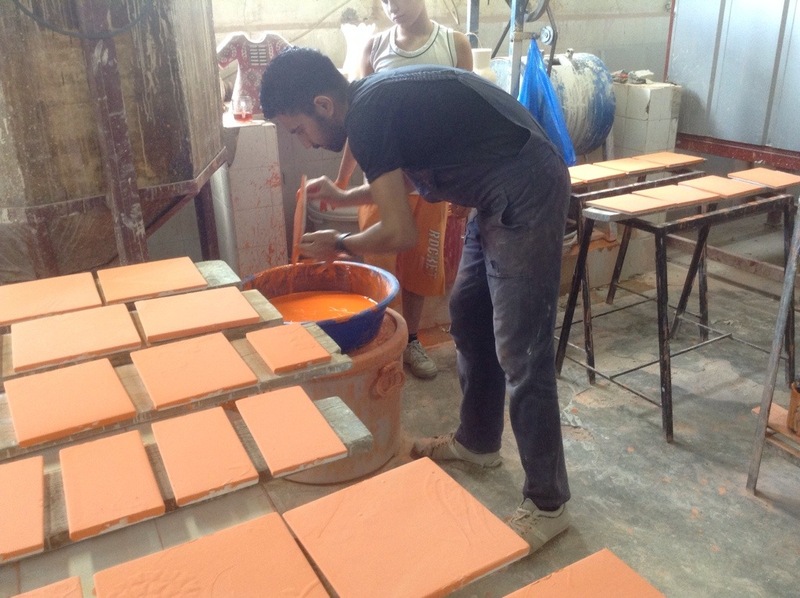 Gurkan and I chatted with one of the artisans and saw how the tiles were glazed and fired. We learned that the workshop uses quartz which is more difficult to work with (it shrinks when fired and needs to be done in small batches) but of higher quality than the material most workshops use. I noticed the workshop had a small showroom off to one side, and Gurkan managed to persuade one of the workers to let us have a look inside. 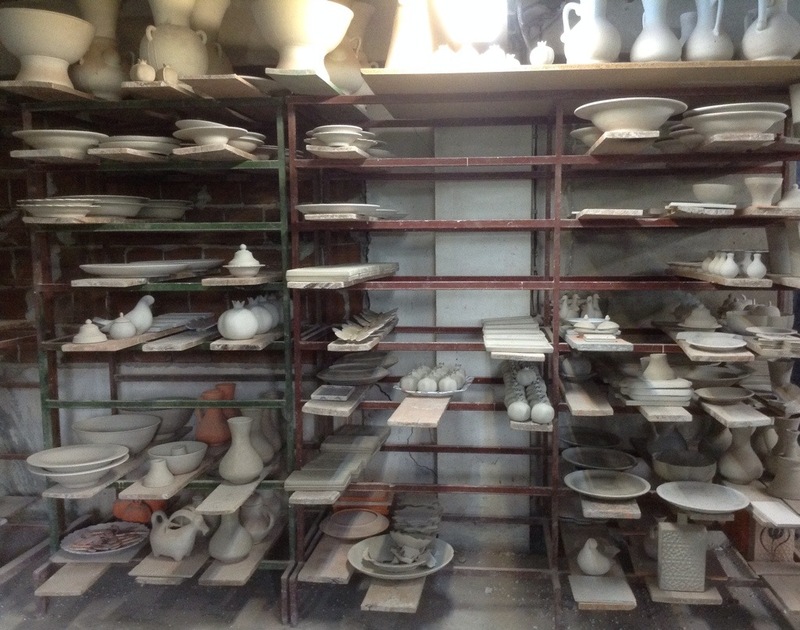 It was a very small space but had pottery stacked in all corners and spread across the floor. On some of the pieces, we were surprised to find Paşabahçe – one of my favorite Turkish home goods store – written underneath. 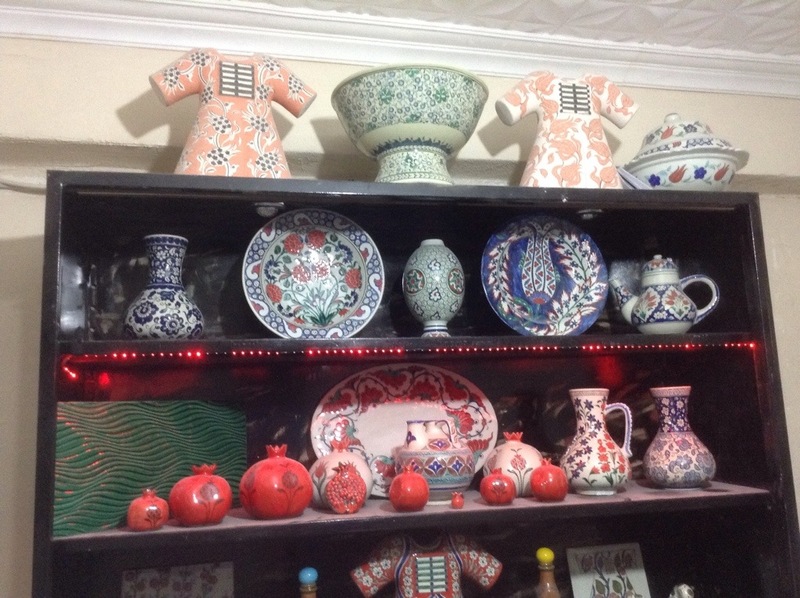 According to the worker, the workshop sells their items to Paşabahçe which in turn sells them in their retail locations at three times the price. Although I would have loved to fill up a whole box to take back with me to Istanbul, I used my discretion and ended up purchasing just a couple pieces for wedding gifts. Afterwards, Cat and I talked with one of the workers who I assumed was the owner about the possibility of returning in the fall for informal classes for just the two of us. 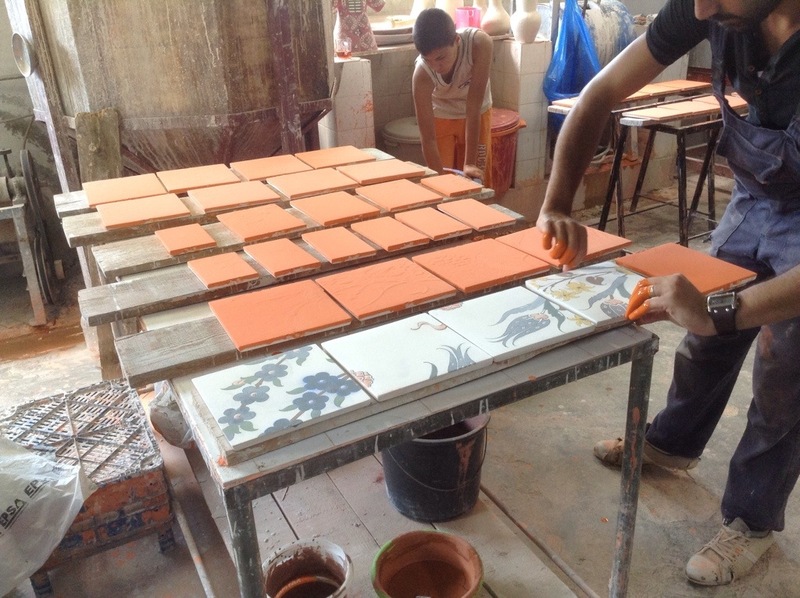 At first, he seemed hesitant – the art of making tiles isn’t just a hobby, something you can learn over a few days he said – but he softened up as the day went on. Maybe Cat and I will get our very own private Iznik tile class after all. 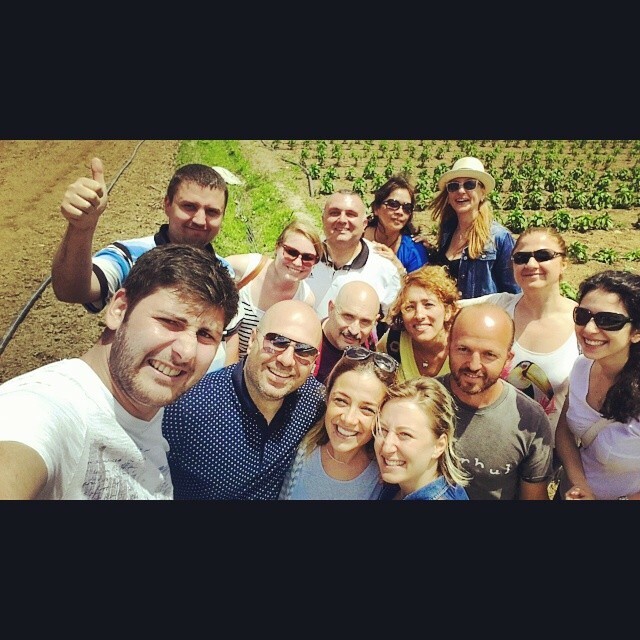 Now that I am trying my hand at writing on food sustainability issues here in Istanbul, a lot of awesome opportunities have fallen into my lap including an invitation to join an organic farm trip. The trip was organized by Plus Kitchen – a restaurant located in Trump Towers specializing in local, organic, and all around healthy foods. We departed from Plus Kitchen early Sunday morning and found ourselves on the road headed to Beykoz about a half an hour later. 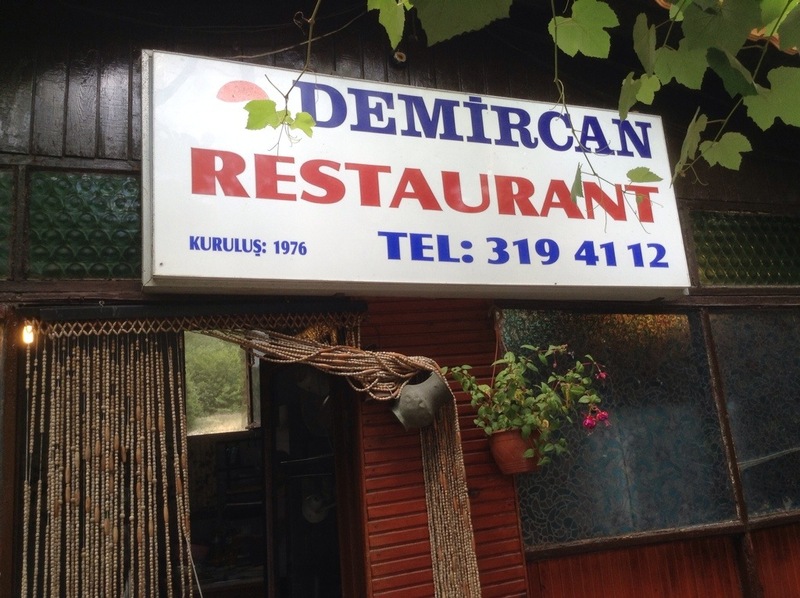 Somewhere along the Beykoz road, we stopped at Demircan Restaurant where we were welcomed by Derya of Plus Kitchen. 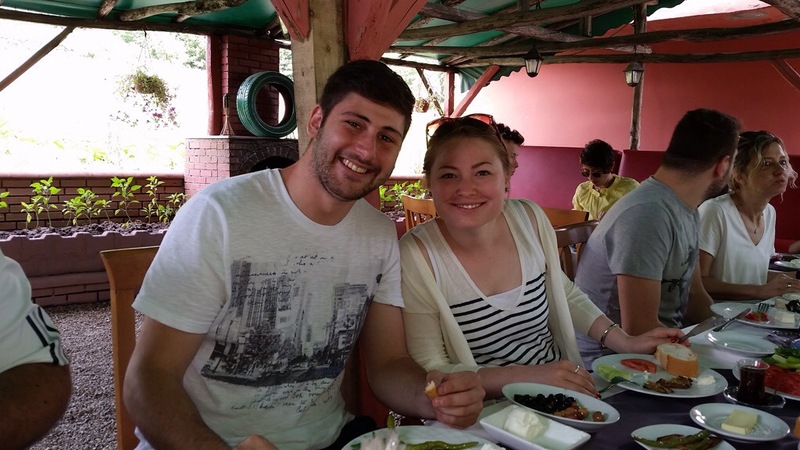 We started off the day with a magnificent village-style breakfast – warm bread, butter, creamy yogurt, cheese, olives, tomatoes, cucumber, fried eggplant, mucver (zucchini pancakes), menemen, several rounds of tea, and of course, Turkish coffee. Everything was organic and fresh, fresh, fresh. The organic farm was located down the road so after breakfast we gathered ourselves together and started off down the path. Before making it to the farm, we stopped at a roadside stand to admire the produce. 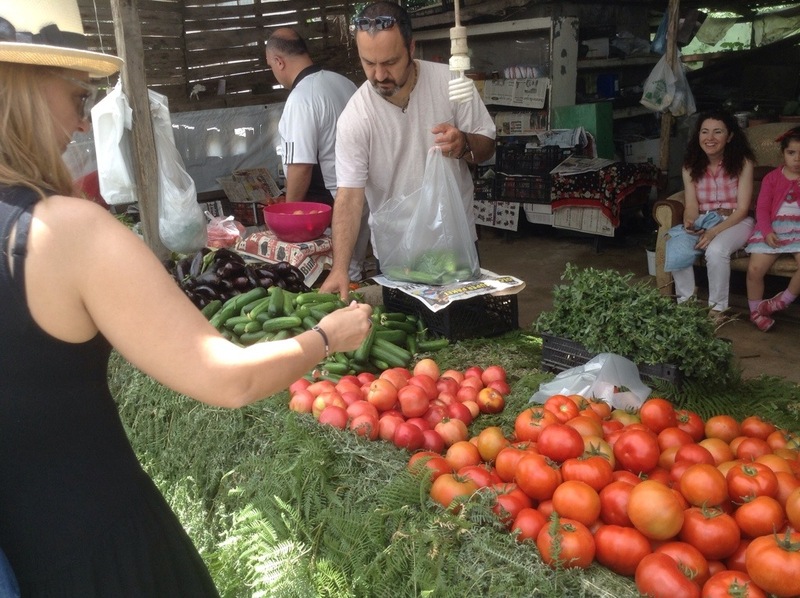 Gurkan and I couldn’t help but bag a supply of beans and tomatoes for the week. Once we arrived at the farm, our guide Beytullah Bey took us under his wing and explained the crops one by one. We started in the greenhouse-like tent where the tomatoes and cucumbers were growing. We saw rows and rows of beautiful green – soon to be red – tomatoes and cucumber plants gently grazing the ground (the cucumbers were being grown upside down!). We also learned a few tricks: Beytullah Bey told us that the flowers on the tomato plants indicate how many tomatoes will grow, and if you want one gigantic tomato, you can simply take a few of the flowers of the plant leaving only one to blossom. Similarly, we were surprised to learn that the leaves of the green tomato plant give off a green color that cannot be removed with soap and water but only by rubbing the tomato itself on your hands. Seriously, these plants are pure magic. Tomato close-up. See those red ones peeking through in the background? 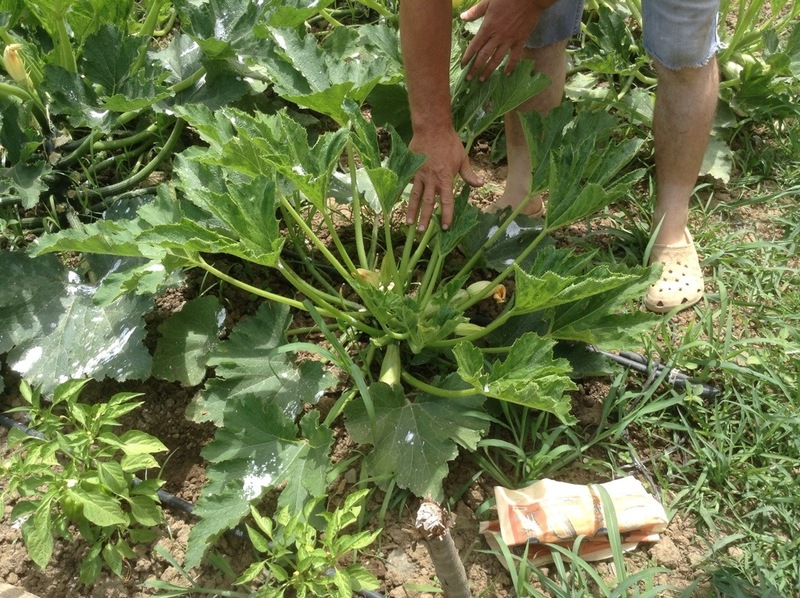 Outside the tent, we checked out the zucchini, eggplant, and pepper plants. 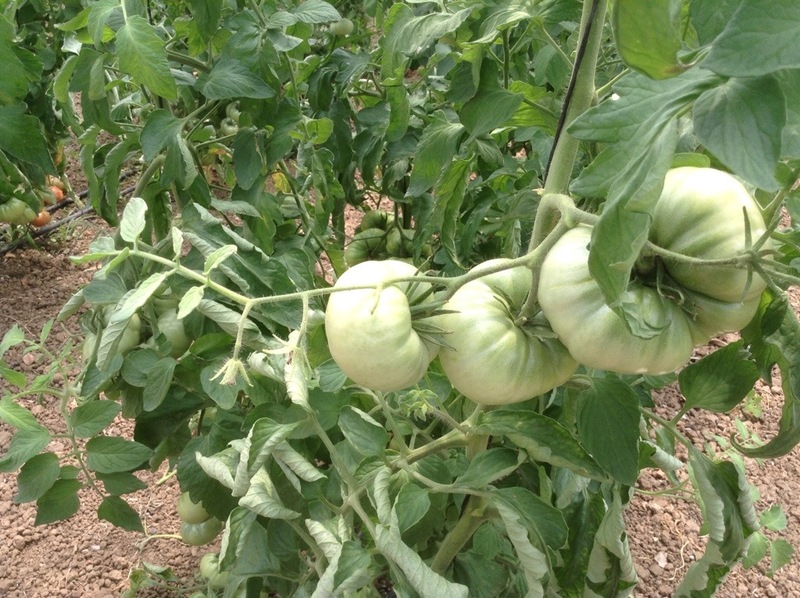 The last crop was a special type of tomato plant that cannot be grown inside the tent (which does a nice job of protecting the plants from bugs). It’s also a late bloomer scheduled for harvest in early August, and as a result, we didn’t get a chance to marvel at its fruit. As Beytullah Bey gave us a quick lesson on the best time of the day to water plants (hint: you don’t want them to burn), Gurkan asked a good deal of questions about best practices for growing fruits and vegetables. 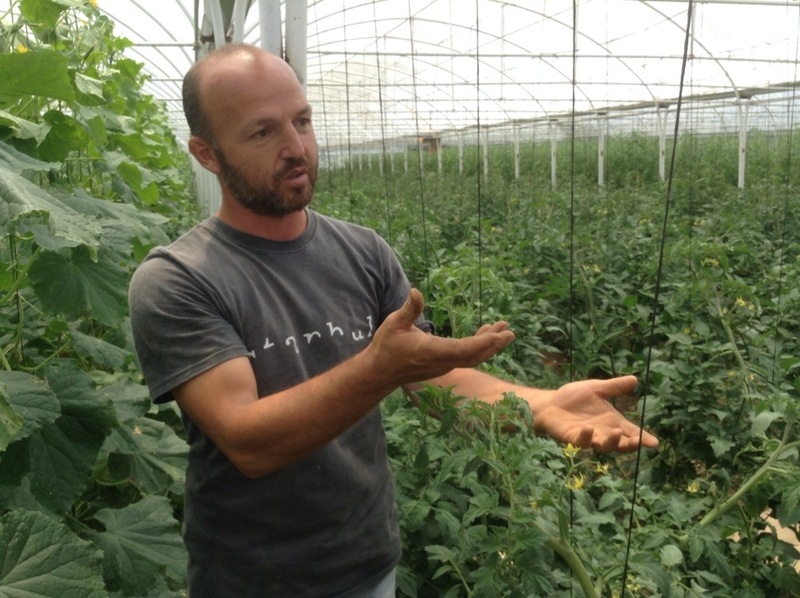 His family grows a variety of fruits and vegetables as well as pine trees in Turkey’s Black Sea region so the organic farm trip hit close to home. After the tour, we headed back to Demircan Restaurant where Derya was waiting for each of us with a bag of goods from Plus Kitchen! 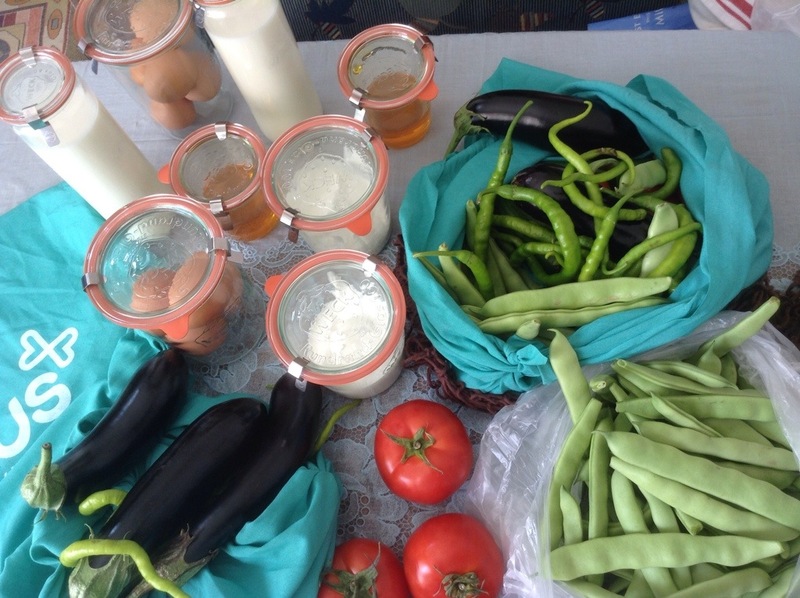 Each bag was filled with green peppers, tomatoes, eggplant, village eggs, yogurt, fresh milk, and honey packed in vintage-looking glass jars and wrapped in lovely green Plus Kitchen hankies. In addition to the tomatoes and peppers we had picked up at the roadside stand, we knew we would be eating well (and organic!) for at least a week. Indeed, that week our veggie dishes and salads were tastier, our milk and yogurt richer, and our egg yolks more deep in color. We are the newest fans of Plus Kitchen, and we can’t wait for their new location in Kanyon to open. Plus Kitchen has a great social media presence. Check them out on Instagram and Twitter @pluskitchentr. Last weekend was another rainy Istanbul weekend (thank goodness because the newspapers are forecasting a major drought this summer), and our roommates Nazlı and Berk had the luck of having a rental car on hand after attending a wedding the evening before. We woke up early and Nazlı told us we were heading out on a road trip. To where I asked? Ağva and Şile. I didn’t know much about either, but I jumped in the car still half asleep and we were soon on our way to Kurtköy to pick up our friend Başak. We took a few wrong turns on the way from Kurtköy to Ağva, but eventually ended up in Ağva just in time for breakfast. 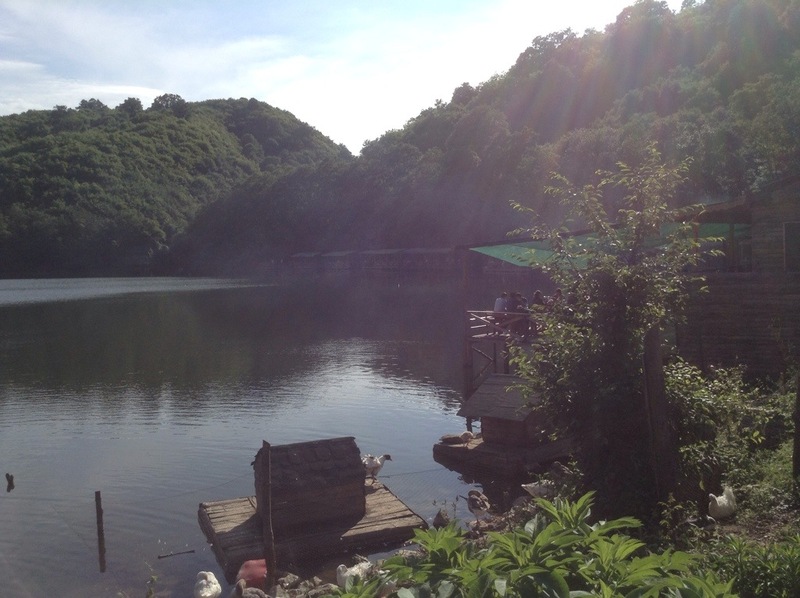 The rain hadn’t let up, so we found a rustic cafe along the river flowing into the sea. The cafes were set up on the pier, and the space between the cafes and the river was home to a number of furry critters. At first, we had no idea they were there until a few random paws started to reach up over the ledge. 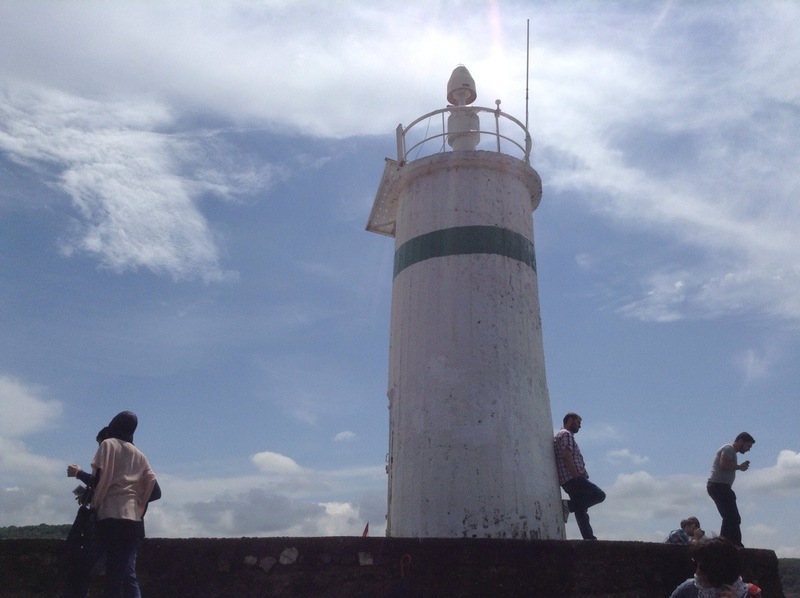 After breakfast, we walked out to the lighthouse which is what everyone visiting Ağva on that rainy morning was doing. It’s surprising how one can live surrounded by water in Istanbul and never have a chance to enjoy it, so it was a real treat to feel and hear the sea in Ağva. We didn’t come prepared to go swimming but we were able to stick our feet in, and it was incredibly refreshing. 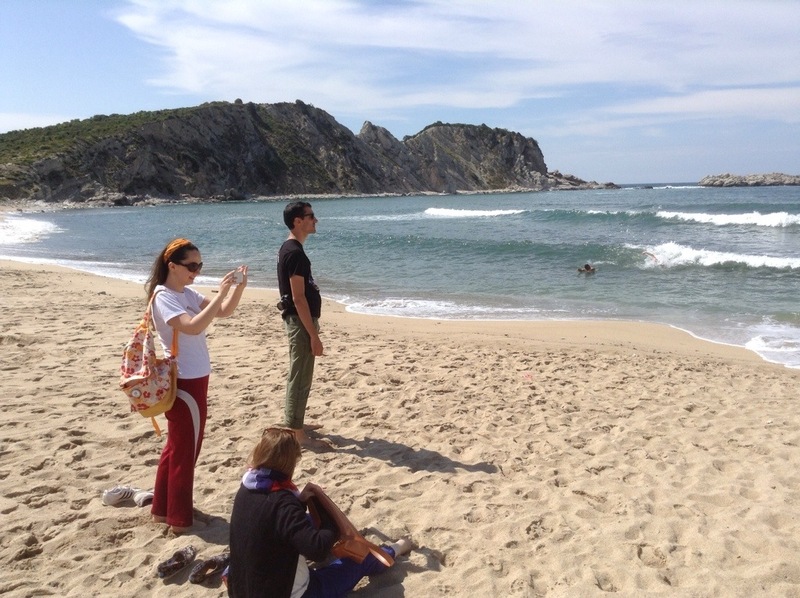 Our next stop was the İmrenli Koyu Plajı, a gorgeous beach in a semi-protected cove. We grabbed refreshments from the nearby convenience store and lounged around on the beach enjoying the feel of sand and the first rays of summer. 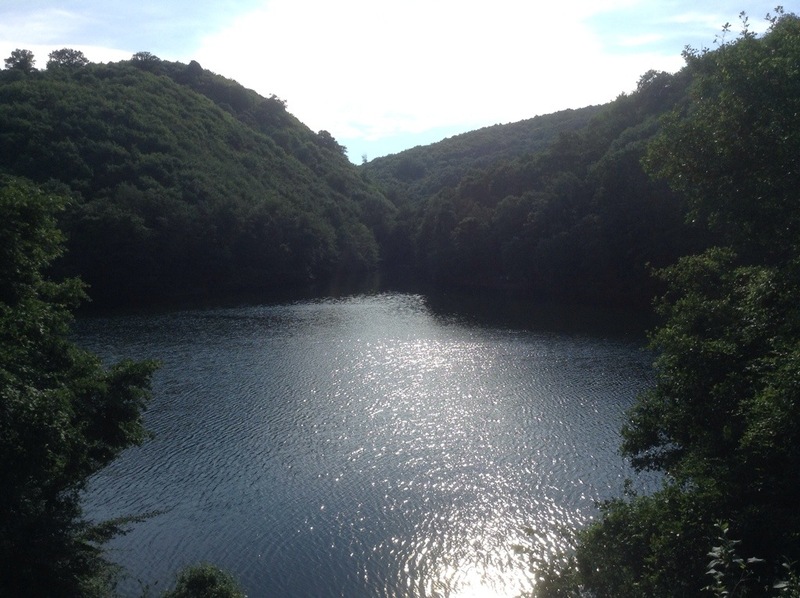 Next was Şile’s Saklıgöl (Hidden Lake) which was aptly named. The lake had several cafes around it as well as a walking path. A perfect place for a peaceful family outing. Lastly, we stopped in Şile for fish and fried mussels (I had been craving midya tava all day!). The restaurant we ate it had a lovely view overlooking the Şile harbor, and afterwards, we walked on the pier among the fishing boats. I also learned about the famous Şile bezi or Şile cloth, a light woven gauze-like cloth ideal for the summer heat. 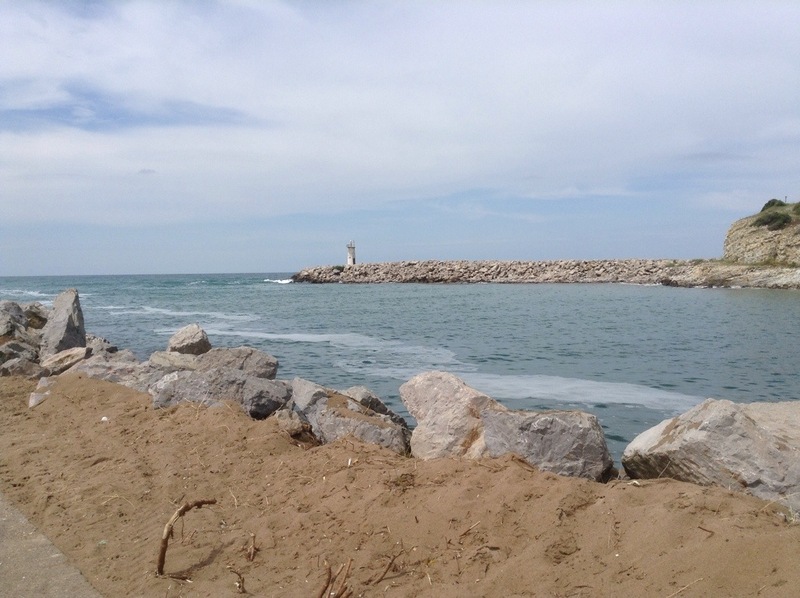 Where is Şile? 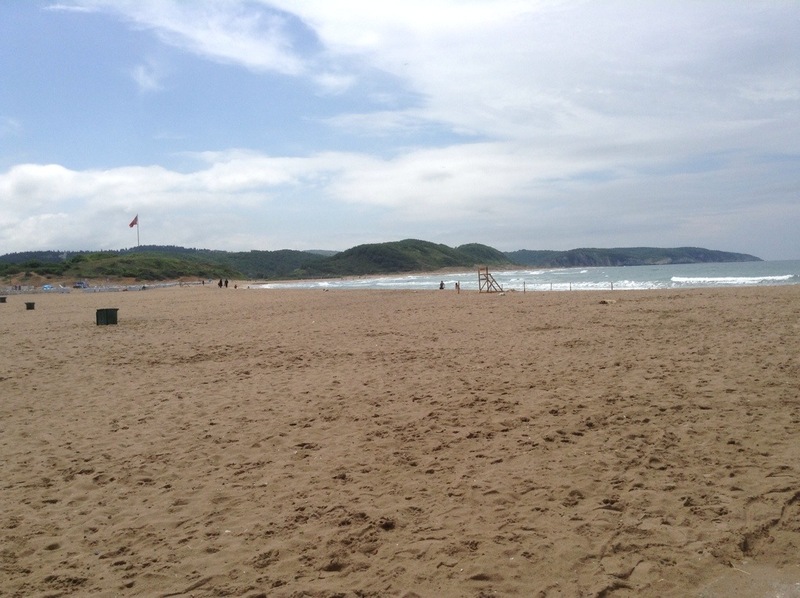 Located on the Black Sea, Şile is approximately an hour and a half outside of Istanbul. 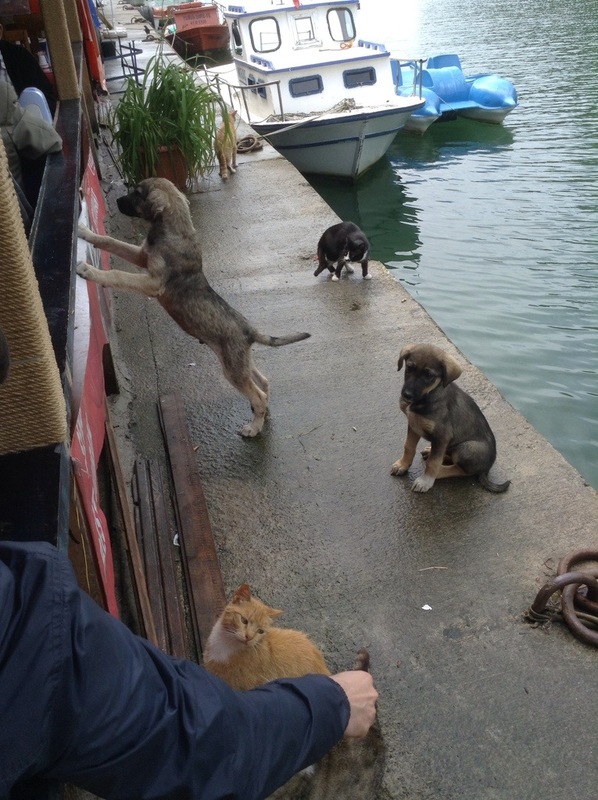 We headed to Ağva first, followed by İmrenli Koyu Plajı, Saklıgöl, and finally the town of Şile. When the weather is nice, both Ağva and Şile turn into summer resort towns, full to the brim with people. We were lucky to visit before the summer season officially started. One of my best friends, Heidi, was in town for the week, and of course, it wouldn’t be a proper Turkey vacation without a visit to Bursa. 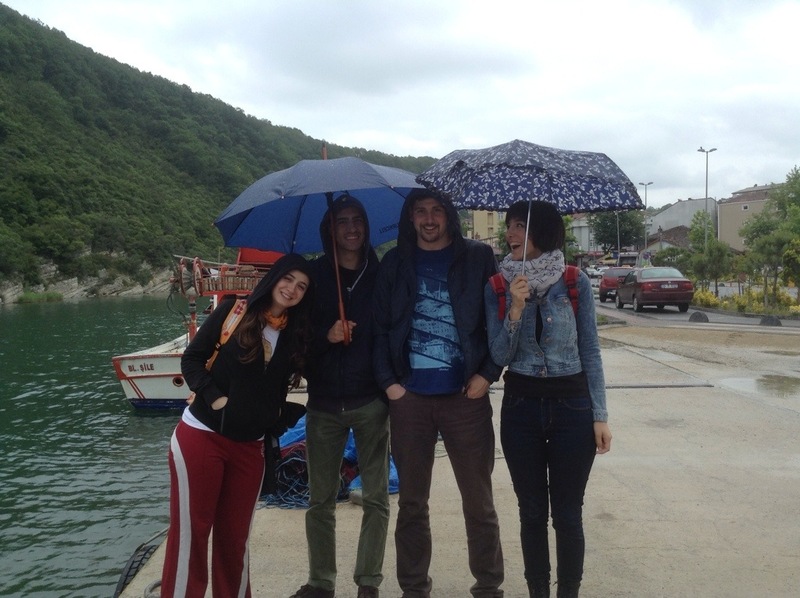 We went for the day on the new BUDO ferry line direct from Kabataş to Mudayna which cost us 40 TL/person round-trip. For those who live in Beşiktaş, the BUDO ferry is a huge improvement. Previously, we would take the İDO ferry from Yenikapı in the wee hours of the morning. All too often, we missed the bus from our neighborhood, or more than often than not, it never came. The result? We would end up taking a taxi to Yenikapı which canceled out the cheap cost of the İDO ferry tickets. Overall, we were pleased with the new BUDO ferry and landing in Mudayna (not Güzelyalı) was a nice surprise. We made our way downtown on one of the new, spiffy city buses, felt the earthquake in one of Bursa’s old wooden buildings, and headed to the Mahkeme Hamamı after an ample fill of gözleme. As everyone knows, Bursa is famous for Turkish baths especially those found in the Çekirge district. Last time, my roommate Nazlı and I had gone to the Kervansaray hamam, arguably Bursa’s most famous hamam. We were disappointed to find the the women’s section small and crowded, the service dismal and the massage unimpressive. Gürkan, however, who had gone to the men’s section had come out a new man. He couldn’t stop singing Kervansaray’s praises – a gorgeous hamam and a personal attendant all to himself. Without fail, the men’s sections are always the better of the two (unless it’s one hamam with different visiting hours for men and women) – something which confounds me since hamam culture seems to be more prevalent among the country’s females. After that last experience, I knew I would never return to Kervansaray (not to mention it’s also one of the most expensive baths in Bursa). 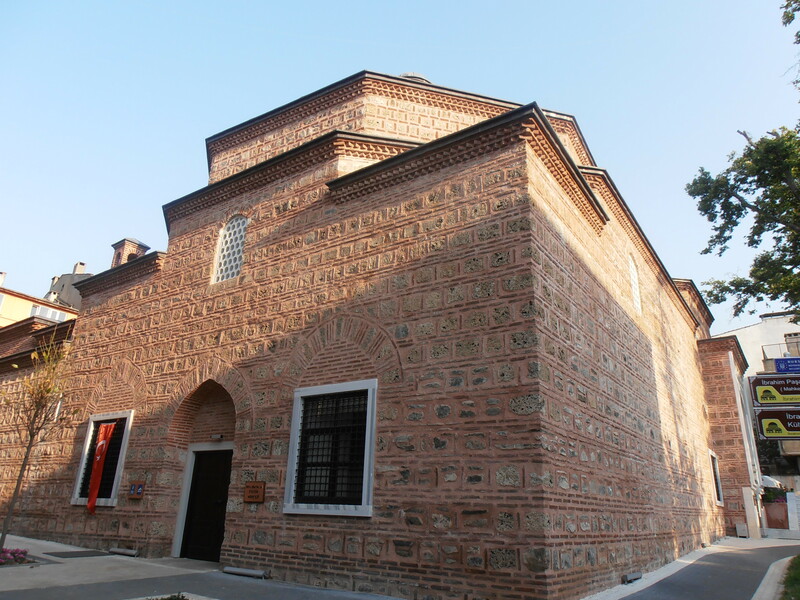 I did however have a pleasant memory of Mahkeme Hamamı (İbrahim Paşa Hamamı) which had been recently restored and reopened by Bursa’s Büyükşehir Belediyesi, the local municipality. While not in Çekirge, Mahkeme Hamamı is centrally located in Heykel on the way to Karabash-i Veli, Bursa’s whirling dervish lodge. The first time I visited was with my NSLI-Youth students in 2012 – the municipality had opened the hamam especially for us during Ramadan and waived the entrance fee for the entire group. Although not a huge fan of the local government, it was certainly a nice gesture and not easily forgotten. That’s why Heidi and I also opted for a visit to Mahkeme Hamamı instead of one of the more well-known baths in Çekirge. We called ahead for the prices (very reasonable!) and were surprised to find that Mahkeme Hamamı only had a women’s section which meant Gürkan was on his own for the afternoon. 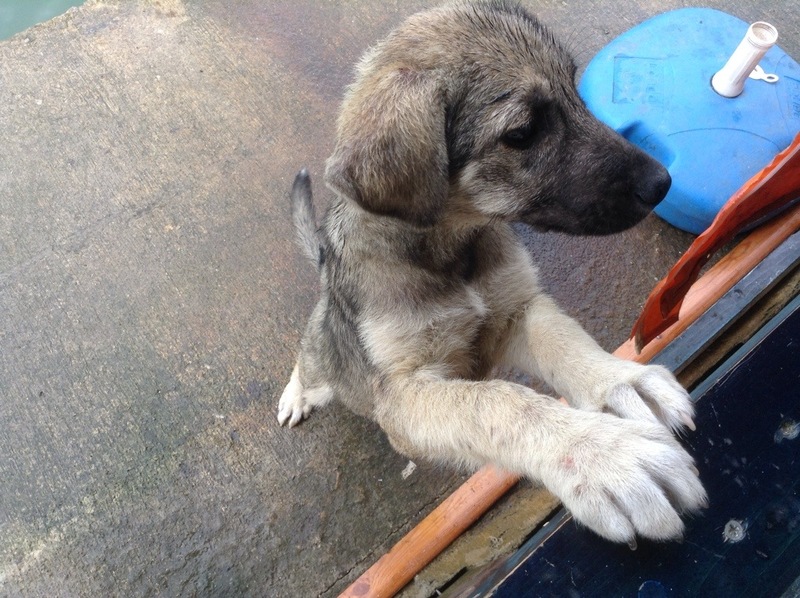 We rang the doorbell and we were warmly greeted by a lady who later introduced herself as Ayşe. She showed us to a private dressing room with two lounge chairs and locked cabinets for our valuables. I explained we had come from Istanbul and didn’t have towels, peştemal, or shampoo, and Ayşe appeared with all the items very clearly explaining the prices of each to me. She also explained the bath process which you can read about here. Although I’ve been to several baths over the years, I appreciate it when they take the time to explain the process to you. Every hamam has its own culture and etiquette, and it can be awkward if you make a faux pas. 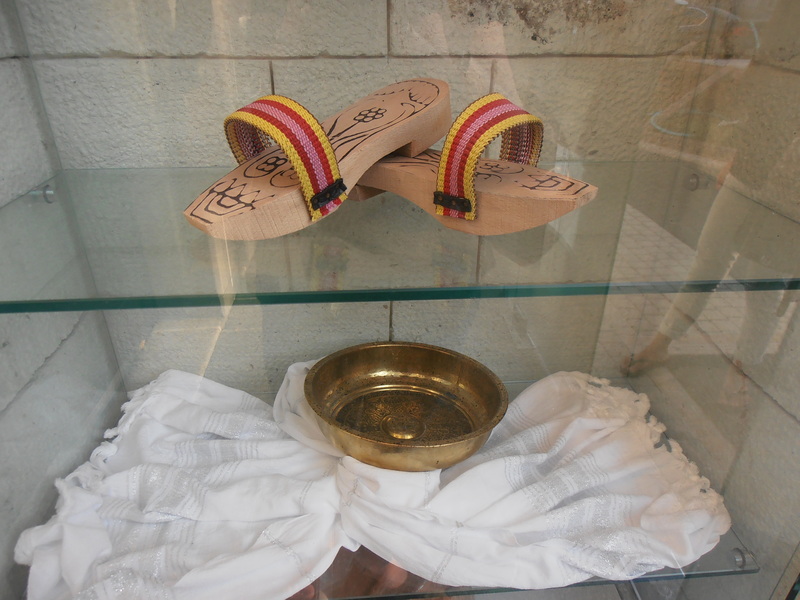 We were given our own pair of wooden hamam slippers to wear and soon ushered into the bath. Imagine my surprise when we opened the door to find only two other women inside the hamam on a Saturday afternoon. Compared to 50+ women in Kervansaray’s one room, we had a huge hamam with multiple smaller rooms all to ourselves. We were in hamam heaven. Heidi and I spread out in one of the smaller, more private rooms, soaking up the heat and relaxing. 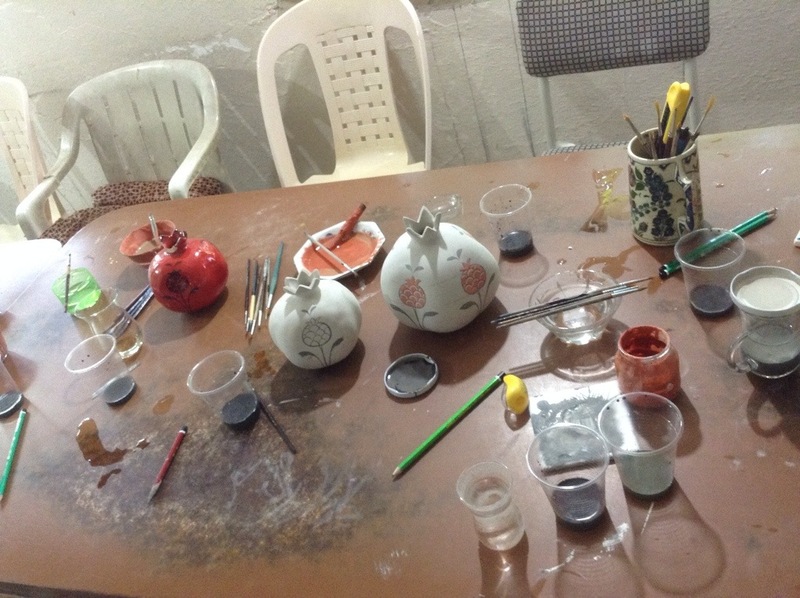 After 20 minutes or so, Ayşe recommended that we go to another room – the extra hot room – so that our skin would be ready for the impending kese scrub. Until I entered the hot room that day, I had never understood why people wore slippers in the bath, but the marble floors were so hot that I had no option but to manuever in the clog-like slippers. The benches were similarly hot and sitting down was quite a task. We lasted all about 10 minutes before heading back to the main hamam room. It was soon our turn for kese and massage. Mahkeme Hamamı does both on a padded massage table rather than the marble slab. In my opinion, the massage table is definitely the way to go because otherwise – if the massage is good – you feel like you’re being slammed into the hardest piece of rock you’ve ever felt. Here the skin scrub was done very thoroughly (face scrub optional) and the massage was out-of-this-world amazing. From out of nowhere, Ayşe appeared with a gigantic loofah full of bubbles, and I soon found myself swimming in bubbles on the massage table (she had told me ahead of time that she was going to do a very köpüklü massage for us). The massage was just what I needed. Ayşe took it extremely seriously and the amount of pressure she used was spot on. Covered in bubbles, I admired the sun shining through the hamam’s dome, and took note that this hamam had natural light unlike others I had visited. After the massages, we were completely wiped out and had only enough energy to shampoo and head back out to the resting area. We bundled up in towels, found our lounge chairs, and Ayse appeared with our gazoz. She slid the curtains closed, we switched the lights out, and finally, we rested. I could have stayed the whole day but there was silk to buy and friends to meet, so our rest was cut prematurely short. 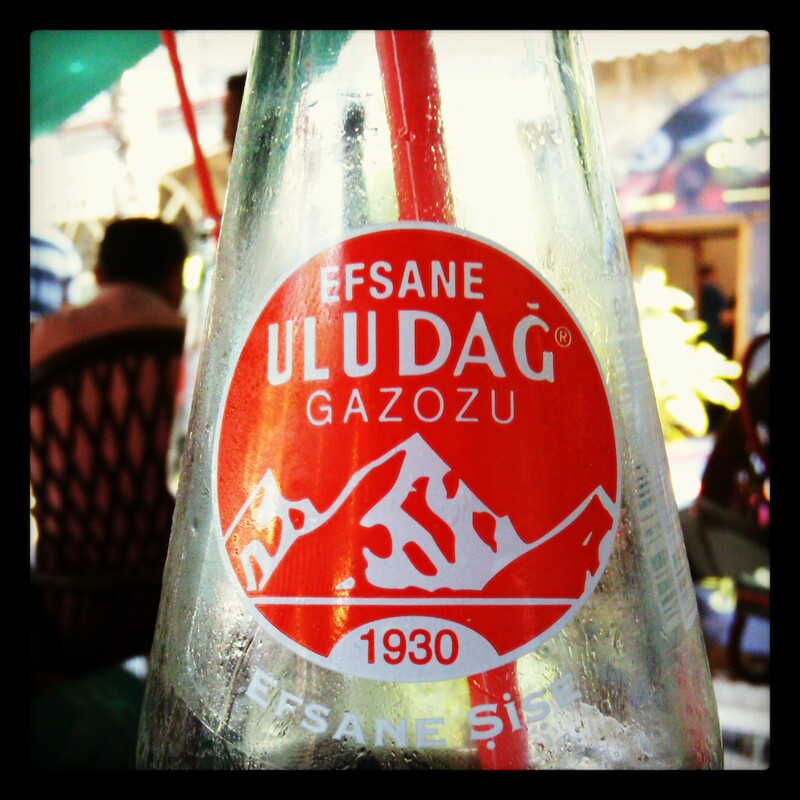 Next time you find yourself in Bursa, skip the Çekirge hamams and try this one! You won’t be disappointed. 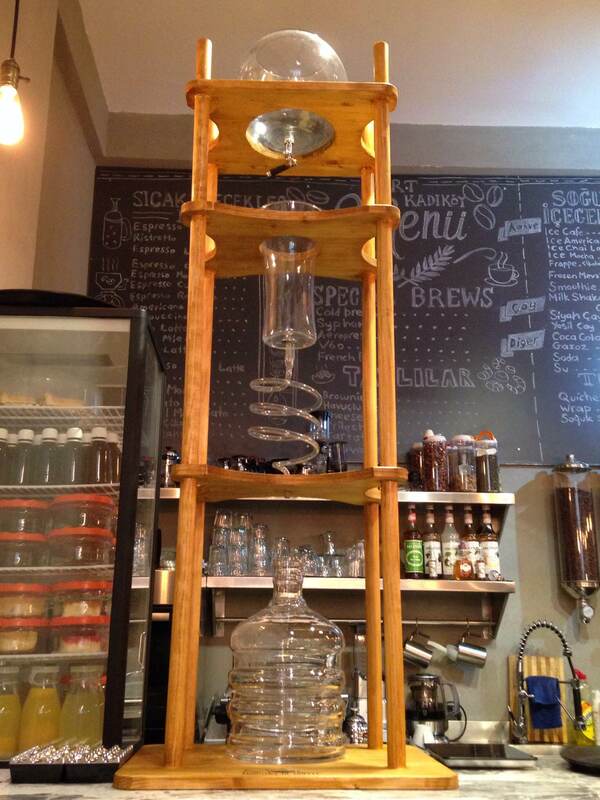 Tip – up to you!